First review of Dig by Chris Hislop in The Sound – our fantastic new weekly newspaper! Deidre Randall’s storied career in the Seacoast NH spans decades. 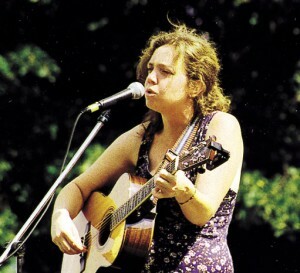 Along the way, she’s earned numerous accolades for her music and poetry. It’s been 10 long years since her last album, time in which she raised a family and hens. She’s also been writing all the while. With a new star-studded cast of players, Randall’s “Dig” is a triumphant return. Farming and family have reshaped and re-sharpened Randall’s repertoire. The songs on “Dig” are more direct and more calloused than the softer, brighter bluegrass of her previous efforts but still retain their memorable hooks. The incredible production from Marc McElroy, Guy Capecelatro III and Chris O’Neill creates the perfect stage for Randall’s fiery vocals and gritty stories. On the redemptive track, “A New Girl,” Randall proudly proclaims, “I’m not the girl I used to be” and that she’s “found my feet, and you’ll see, I’m a new girl.” With “Dig,” Randall has re-established herself and crafted a powerful record as a monument. 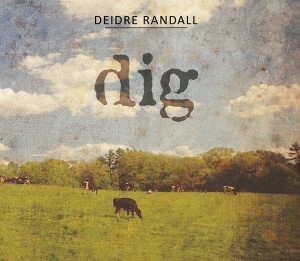 Buy Deidre’s music on CDBaby.com by download. Deidre performing at Prescott Park Arts Festival's Folk Festival. If you want to have us come play at your event or club, please email Deidre at deidre.randall(at)me.com and let us know the details. We loooove to play! Photos from Deidre's CD release show for Dig are on Facebook. New gigs will be posted on the Facebook page as they are announced. Give us a "like" why don't you?